With the base of the city complete we will now create some buildings that will sit on top of the base. 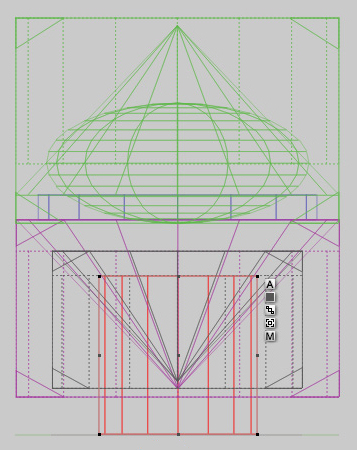 The first model to create for the city will be a dome structure that sits on top of the base and is the dominant feature within the structure. 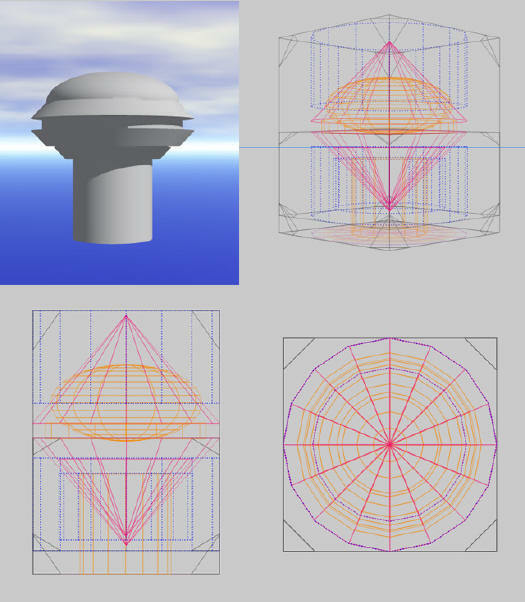 Looking at the model it is made up of three cones, five cylinders, and one sphere. Alignment and grouping will be part of the process used. A series of simple Boolean operations are performed within the making of this particular structure and each object is centered down through the core. 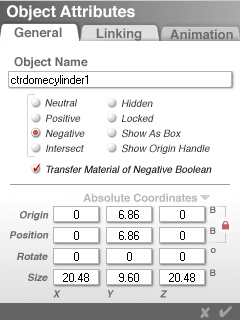 In the diagram the objects have been color coded using the family function to show the Boolean attributes of each one for reference. The neutral objects appear as orange, the positive objects as pink, and the negative ones as blue. 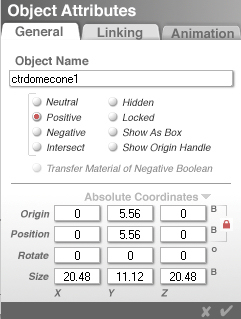 Select the cylinder and cone and duplicate them by pressing Ctrl-D on the keyboard. Group the duplicates together (Ctrl-G) and access the Object Attributes menu via the button by the bounding box. 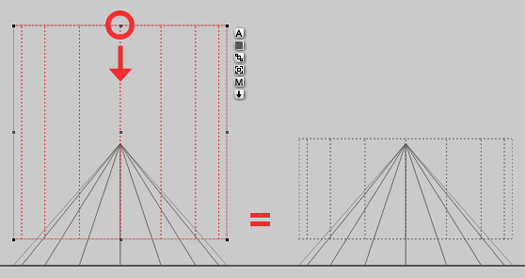 In the attributes, rotate the group through the X-axis 180 degrees. 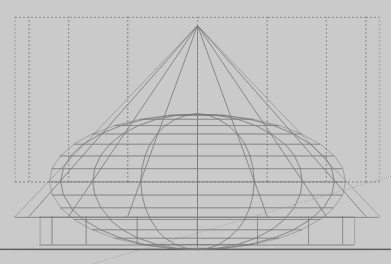 This will be the bottom part of the dome structure. Move to the side for use later. 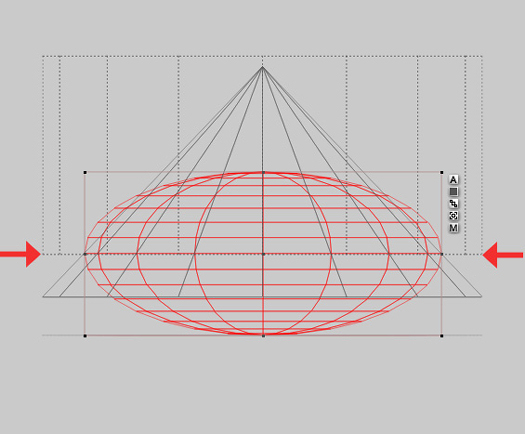 The sphere will act as a dome and connect with the cylinder and cone created above. 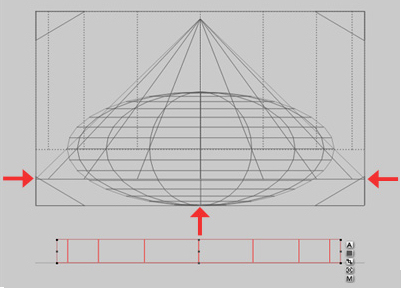 Align its center so that the middle of the sphere sits just where the base of the cylinder meets the cone. Group the three objects together to create the top part of the dome by pressing Ctrl-G on the keyboard or by clicking on the button next to the selected objects. 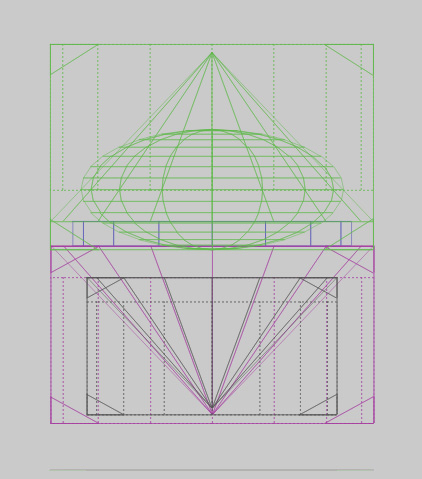 Move the cylinder so that the top edge is aligned exactly with the bottom edge of the cone. Zoom in if needed to place the cylinder. 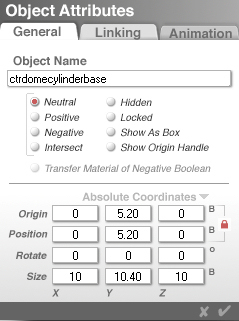 You might want to check the Attributes after placing the cylinder to make sure that the X- and Z-axes are still at 0. Group all objects and apply the Polished Pewter material from the Master Series Cloud City Material Presets sub-library. 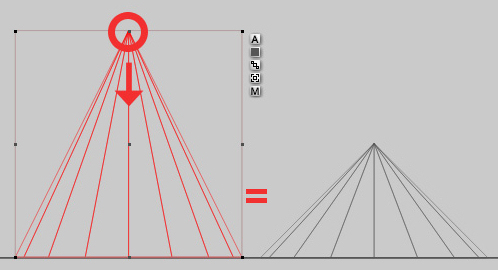 Save the model to your Object Presets Library for later use. If you copied the included Presets folder into the Bryce 5 main folder, select the Master Series library and save the dome to the Cloud City sub-library. 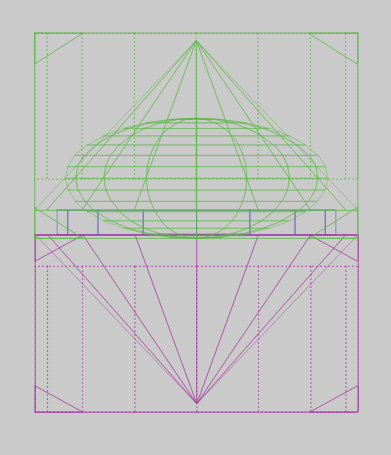 Name it something like "center dome" or "Center Dome 1".